On the Origin of Issues available at bookshops now! On the Origin of Issues is about the, inherently not so funny topic, of why projects (and other collaborations) fail. 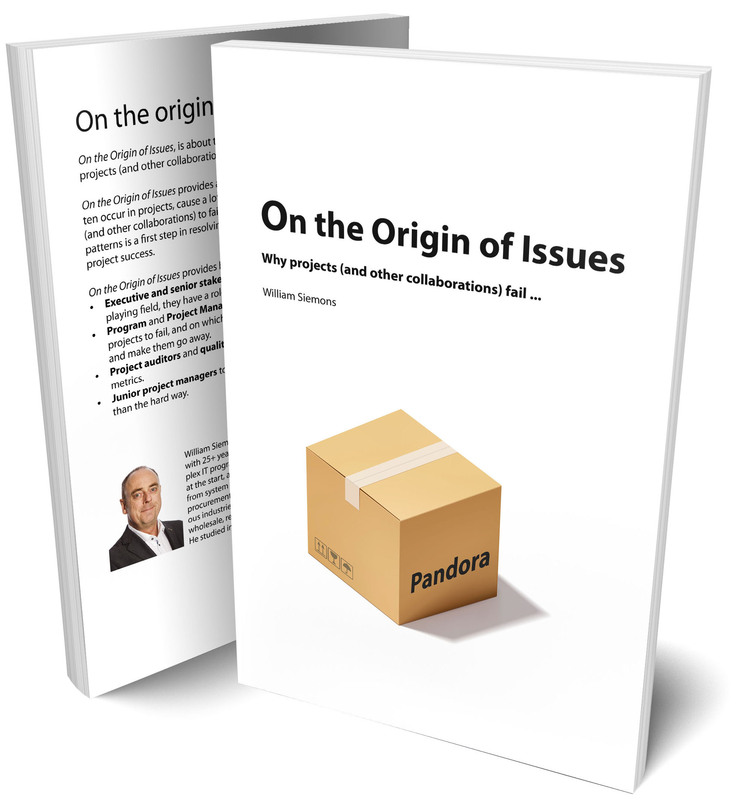 On the Origin of Issues provides an anthology of some 180 patterns that often occur in projects, cause a lot of problems, and can even cause projects (and other collaborations) to fail. Recognizing and understanding these patterns is a first step in resolving problems, and to clear the path towards project success. Executive and senior stakeholders, on the patterns, particularly in the playing field, they have a role to play in. Program and project managers, on all the usual patterns that cause projects to fail, and on which they are expected to wave a magic wand, and make them go away. Project auditors and quality assurance, on what matters next to metrics. Junior project managers to find out what is ahead beforehand, rather than the hard way.